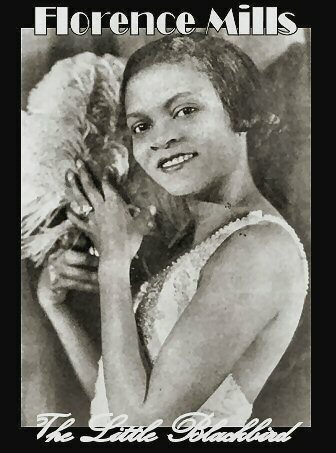 Florence Mills (born Florence Winfrey) was one of the greatest entertainers and singing, dancing jazz performers the world has ever seen. She was also a truly lovable, charitable, socially and intellectually aware woman, who spoke out for the rights of her fellow African Americans. Florence Mills is largely forgotten and neglected today, mainly because the primitive recording techniques of the early twentieth century couldn't capture her remarkable voice, and she was never filmed, so no record of her performance remains. The purpose of this site is to help reclaim for her the status and respect her remarkable talents and heroic personality warrant, in the eyes of the world and of her fellow African-Americans, to whom she was so important in the 1920s. Check the links below to learn about Florence's true greatness, or read The Book !